It’s almost sugar beet harvesting time, and if you’re not a long-time resident of Fort Collins (and I mean really long!) or a local history buff, you may have no idea how big a beet can be in the life of a town. Curious? Explore the Museo de las Tres Colonias, one of the stops on the Trails of Northern Colorado cultural heritage driving tour. 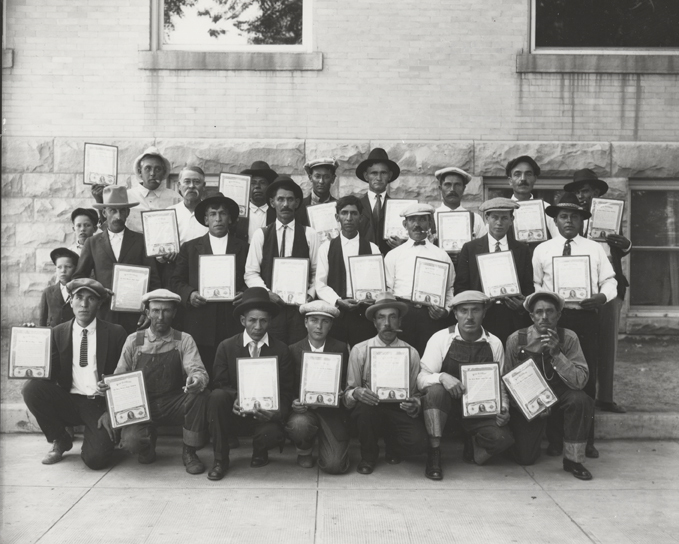 The sugar beet is at the heart of a story that helped bring two major ethno-cultural groups to Fort Collins: Germans from Russia (also sometimes known as the Volga Germans), and Hispanics. Both groups were brought here in the early decades of the 20th century to work in the sugar beet fields and processing plants owned by the Great Western Sugar Company, and both groups — first the Germans from Russia and then the Hispanics — lived in the small neighborhoods near the Great Western Plant that we know today as Andersonville, Alta Vista, and Buckingham: the tres colonias. The Hispanic heritage and stories of these neighborhoods, and the part they played in the growth of Fort Collins, is preserved at the Museo de las Tres Colonias. The Museo is open on the 3rd Saturday of each month, from 12:30 to 3:00, and is located at 425 10th St. The newly refurbished “My Community” exhibit at the Fort Collins Museum & Discovery Science Center highlights what I love best about the local history reflected in the Museum’s collection: that it is both uniquely deep in time frame and broad in scope. The stone objects from our region’s Folsom culture, as well as those from the even earlier Clovis culture, reach back further than any other representations of our history available. Conversely, we add objects from contemporary events and people to this collection every day: local 2008 presidential election materials, objects from burgeoning local businesses, and more. Where else in town do you see over ten thousand years of our region’s history represented? By saying our collection is broad I mean that the museum’s collection interprets a wide variety of themes. This is because we are simply our community’s museum and not its art museum or archaeological museum; we are not devoted to a particular era, or group, or individual. Anything that happens in our region, or exercises a strong influence on it, has a place in the Museum’s collection, and may end up interpreted in a Museum exhibit. The resulting exhibit has been a popular addition to our main gallery since its completion. While fragile artifacts have been rotated out of this exhibit, most of the objects included in the original plan have remained on exhibit. This fall I have been involved in revamping the Museum’s “My Community” exhibit; this involved choosing new objects and stories to use to present the exhibit’s original themes. The research I did while working on this exhibit clarified for me the essential job objects do in broadening and deepening our understanding of our community’s history. One artifact we’re adding to the exhibit is a third place ribbon Victor Bueno won in a 100 yard race at the Chicano Olympics, which were held, according to the printing on the ribbon, in Fort Collins’ Buckingham Park in the summer of 1976. Wanting to find some background information and maybe even some photos to include in the exhibit, I spent two days going through books, online sources, and newspapers — all without finding a single word about any Chicano Olympics. Surely the memory of this event exists beyond this small white ribbon and the printed certificate preserved along with it, but it sure isn’t easy to find. Another community member, Adolfo Gallegos, is represented in the exhibit with the equipment he used to repair shoes and ranching gear out of his Buckingham neighborhood home for over forty years. In my research I’ve been unable to find any other materials documenting this Fort Collins entrepreneur. I’ve been surprised, actually, how often I’ve discovered people or events through the collection that seem almost invisible otherwise. This brings me to what is most exciting to me about the Museum’s “My Community” exhibit: its function as a conversation; an ongoing conversation our community can have with itself. Though I’ve exhausted my immediate sources, for example, without finding anything more than Victor Bueno’s winning ribbon to document the 1976 Chicano Olympics, there must be members of our community who were there and could share what they remember. If Bueno’s ribbon, or the Ute Bear Dance rasp, or the wool shawl can bring up a subject, my hope is that people will reply, will help complete the story the Museum only caught pieces of. The photo montages behind the objects can work the same way: that adorable little girl sitting on a porch edge with a friend, or a maybe a brother – is she your aunt, your grandma, your wife? My hope is that you will tell us about her. Or maybe about your dad’s experiences wielding a sugar beet knife just like the one on exhibit, or how you like seeing the noodle maker but it’s not anything like what you used to make noodles for your wedding dinner. Did you have one of those early Water Piks? Have you ever ridden side saddle? Did you do it in an impeccably tailored suit? I invite you to come to the Museum and see the newly refurbished “My Community” exhibit. And when you do, please, please don’t let it ramble on all by itself. Talk back and help us keep our community conversation lively. The third installment of the Fort Collins Memory Project comes from Stan Schilling and Marol Klein-Goodwin — stories of hard work growing up on the farm (beets for Stan, wheat for Marol) and the strong traditions of the Germans from Russia, including music and dancing the Dutch Hop. Find Stan and Marol’s story here.